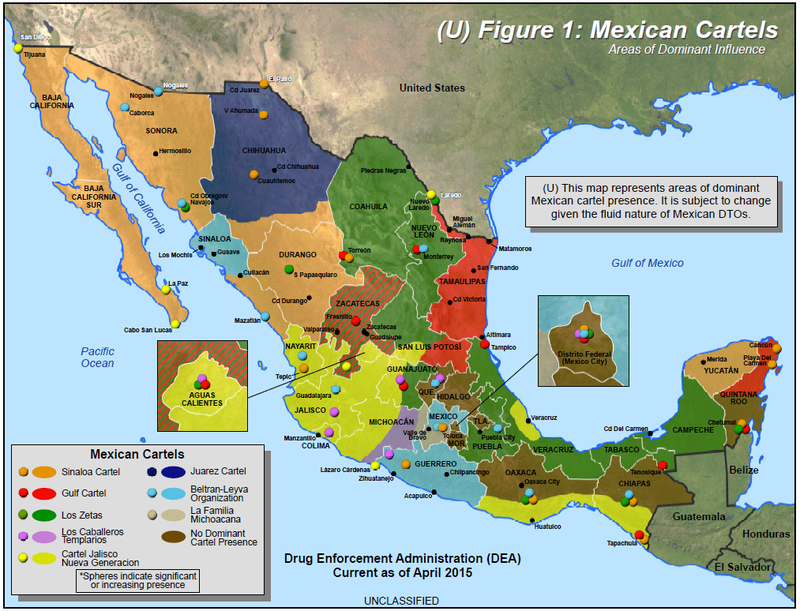 (U) The attached graphic provides an update to the Drug Enforcement Administration’s (DEA) assessment of the areas of dominant control for the major drug trafficking organizations (DTOs) operating in Mexico based on a comprehensive review of current DEA reporting, input from DEA offices in Mexico and open source information (see Figure 1). (U) DEA continues to identify eight major cartels currently operating in Mexico: Sinaloa, Cartel de Jalisco Nueva Generacion (New Generation Jalisco Cartel or CJNG), Beltran-Leyva Organization (BLO), Los Zetas, Gulf, Juarez/La Linea, La Familia Michoacana (LFM), and Los Caballeros Templarios (Knights Templar or LCT); however, leadership losses for LFM and LCT over the last year have significantly degraded their operational capabilities and organizational cohesion. The attached graphic illustrates fluctuations in the areas of dominant control for Mexico’s major DTOs, most notably the significant expansion of CJNG. (U) After splintering from the Sinaloa Cartel in 2010, the CJNG has become the fastest growing DTO in Mexico. From its stronghold in Jalisco, Mexico, the organization’s influence extends to Nayarit, Colima, Guerrero, Veracruz, Michoacán, and other Mexican states. 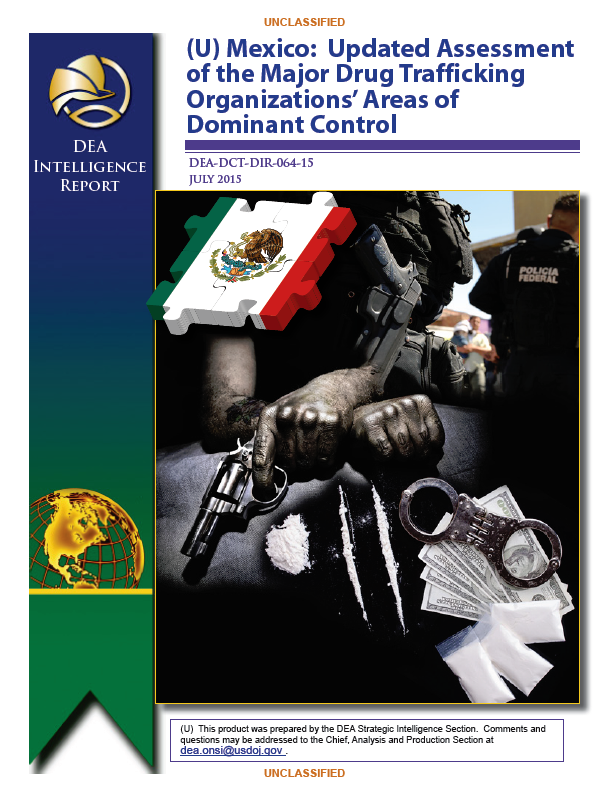 DEA reporting indicates the organization has recently expanded its dominion to the Mexican States of Guanajuato and San Luis Potosi, in addition to an increased presence along the southern Mexican coast States of Oaxaca and Chiapas. (U) The CJNG uses its alliances and exploits weaknesses of rival cartels to take over new territories or increase its presence in areas already under CJNG control. The disintegration of the LCT in 2015, paved the way for the CJNG to flourish and expand its territorial presence in Michoacán. The internal power struggles and disarray suffered by the Gulf Cartel and Los Zetas are also likely contributing to the CJNG expansion. With additional territory and reach, the CJNG is in a prime position to increase its drug trafficking operations, wealth, and influence in Mexico.